This August, athletes from around the world will be gathering in scenic Vancouver, Canada, to challenge themselves and each other to reach new heights in the creative and competitive disciplines in the sports of Footbag Net, Freestyle, Golf, Speed Consecutives, and Distance One-pass. The Kitsilano Footbag Association is pleased to host the World Footbag Championships, sanctioned by the World Footbag Association and the International Footbag Committee. The Footbag Net final round will be held at Cooper's Park along the north bank of False Creek, site of World Expo 86. Freestyle finals will be held at Kitsilano Community Centre. Other site locations can be found on the event schedule. Worlds 2000 is a proud supporter of the B.C. Special Olympics. You can now preview the footbag golf course. Buy your tickets by Wednesday, August 16th, for the Hall of Fame Awards Dinner and the Players Party, featuring the sounds of Booti Dharma, on the evening of August 20th. 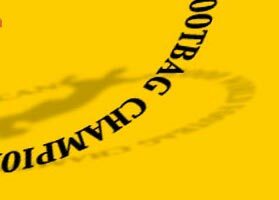 For the latest updates and other information, return to this site or check What's New on Footbag WorldWide. Check out the 1999 World Footbag Championships results. The following pages contain all you need to to know to plan your trip to Worlds. Info updates will be posted as soon as they are available. If you need to contact the event organizers e-mail us at worlds@footbag.org or phone us at (604) 732 1240. Want to show your audience a unique event featuring amazing feats performed by amazing feet? Want to know what a blurry symposium legbeater is? Footbag is Hip, it's knee, it's calf, it's toes - all in one package - shredding and spiking to the awe of onlookers. To learn more about the sport of Footbag, check out Footbag WorldWide. If you are interested in covering or sponsoring this event, contact us via e-mail or telephone. 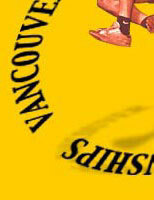 The event coordinators may be reached at worlds@footbag.org and at (604) 732 1240. We will be happy to supply you with a press release, sponsorship package, and whatever information you may require.